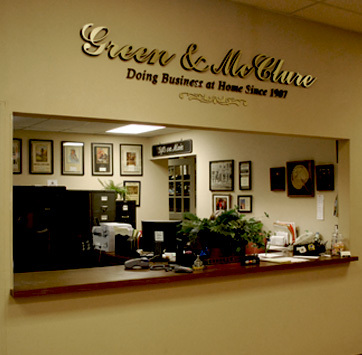 Our onsite design team at Green & McClure can help you imagine and achieve your dream home. With over fifty years combined experience, our design staff can help assemble the perfect furnishings and accessories to suit any taste and budget. 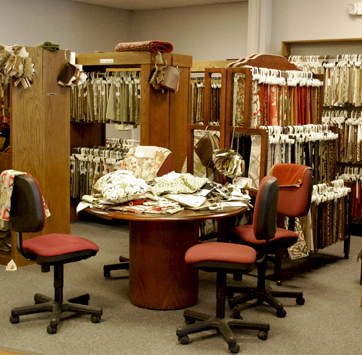 They can assist you with custom orders of fabrics and colors for any décor! We offer in-home consultations, as well as, fully customized special ordering abilities. Ask for a design consultation today and experience first hand the knowledge of our design staff! Don’t you hate the hassle of shopping for furniture where it seems like you either can’t find someone to help you, or you can’t get them to leave you alone? We do, too. That’s why we want to make a visit to Green & McClure’s, a completely different experience. We offer a personal touch that can’t be beat. How often have you had furniture delivered, only to see the delivery personnel disappear before placing your furniture exactly where you wanted it? 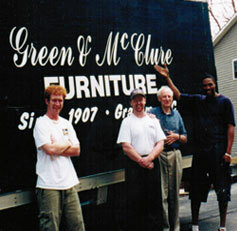 Green & McClure’s experienced delivery drivers and professional set-up staff will make certain your furniture order is delivered on time and set up to your complete satisfaction! We provide free, same day delivery within 25 miles by polite and courteous delivery personnel with years of experience. We also offer free disposal of replaced goods and guaranteed onsite satisfaction of set-up.